Portland Security Alarm® established in 1959, has been one of the most respected names in the security industry. We offer a wide variety of security systems and interactive technology for residential and commercial to suit your specific needs. Providing total security solutions, including initial design, supply and installation, service and maintenance of high quality equipment. Intrusion detection, fire protection, and video surveillance, with state-of- the art 24 hour central monitoring service, 365 days a year. We know that every customer's security needs are different, we provide advanced home monitoring technology security solutions tailored to your specific requirements and budget. 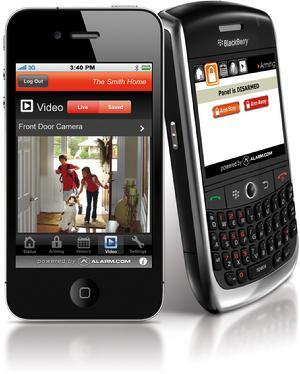 Wireless services that enables you to always know what's happening at your home or business. 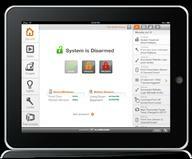 Our security systems let you control your home with easy-to use apps and web interfaces. With our security, you can check in on your property while at work or on vacation, arm or disarm the system remotely from your home or office, get activity history, view live video and send commands to your security system right from your Smart phone or web enabled mobile device. Portland Security Alarm™ equipment is stable and reliable providing you effective home and commercial protection. Having an alarm system, reduces your chances of ever being a victim of an intrusion, plan your security systems to cover the vulnerabilities that affect your home and business. " Keep peace of mind " knowing that your home, family and business are safe and secure, let us know your security concerns, then we'll design the right combination of security products and systems, to fit your specific needs . Home and Business Security Solutions with the best technology including Interactive Security, Video Monitoring. Automation easily controlled through and intuitive Mobile App. Now your security system is much more than an alarm. With Portland Security Alarm ®, you can arm or disarm your home or business security system with just a touch of a mobile phone. In fact our mobile applications let you monitor and control your entire system from practically anywhere. That includes any web-enabled cell phone or Smartphone devices. Our security systems, will provide you with online management tools, giving you the control to customize your security system. Set up custom notifications, create personalized rules, add system users, create schedules and set video specific recording triggers, with real protection against intrusion. Our technology can help you to be in control. Let us help you protect your home, family and your most valuable assets. √ Find out when your kids arrived home from school. √Get an alert to your phone if the garage door is left open too long. √Ensure no one enters private offices or sensitive cabinets without your knowledge. √Arm the security system automatically, even when employees forget. √Receive notifications right to your cell phone, iPhone, BlackBerry or Android device. √Make sure employees are opening and closing on time. Many things happens in your home or business that doesn't require police or fire response, but that is still important to you. With Portland Security Alarm ™, you'll always be able to stay connected to the places you care the most. PORTLAND SECURITY ALARM ® Is a Registered U.S. Trademark of Portland Security Dispatch,Inc. ©2017 Portland Security Dispatch, Inc. All rights reserved.